“New Orleans. Gumbo. Shrimp!” artist and social entrepreneur Ashara Ekundayo proclaimed what she loves loud and clear. Ashara carried the central question of the Climate Ribbon onto the main stage with her as she MC’d SOCAP18, asking her panelists: “What do you love and hope to never lose to climate chaos?” For some, the question was startling. It isn’t every day at a large finance conference that someone is asked something so personal — and that’s exactly why we were there. As attendees streamed into the festival pavilion at Fort Mason in San Francisco for the 11th annual Social Capital Markets (SOCAP) conference — one of the biggest of its kind in the nation — they were greeted by a grove of sculpted trees tied together with ropes filled with brightly-colored ribbons from around the world. 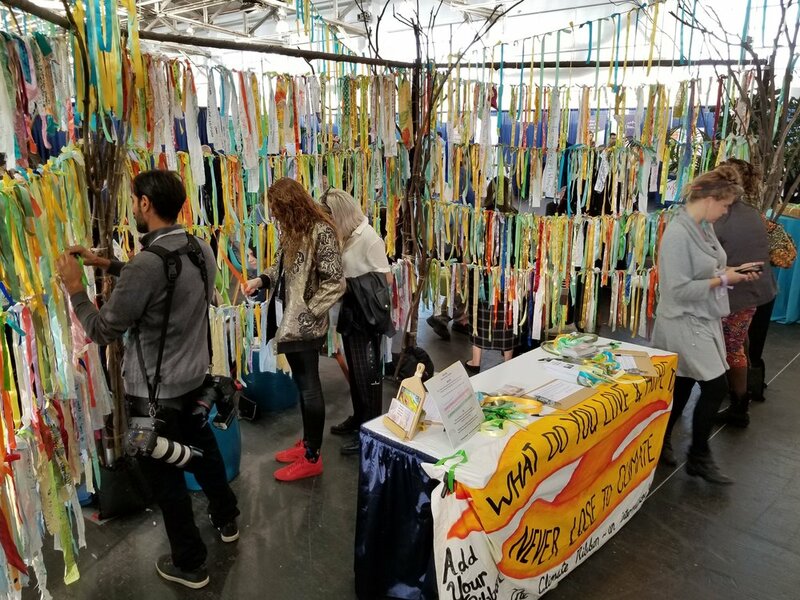 Amidst a sea of corporate booths and sleek furniture, the Climate Ribbon offered something rarely seen at a finance conference: a sacred space for reflection on one of the biggest challenges of our time. SOCAP18 took place just days after the Intergovernmental Panel on Climate Change released their eye-opening report concluding that we have a 12-year window to take action to prevent climate change catastrophe. This was exactly why the Climate Ribbon was at SOCAP - to ask attendees: What does it mean to talk shop on “impact” investing, given the necessary impact needed to keep the planet habitable? 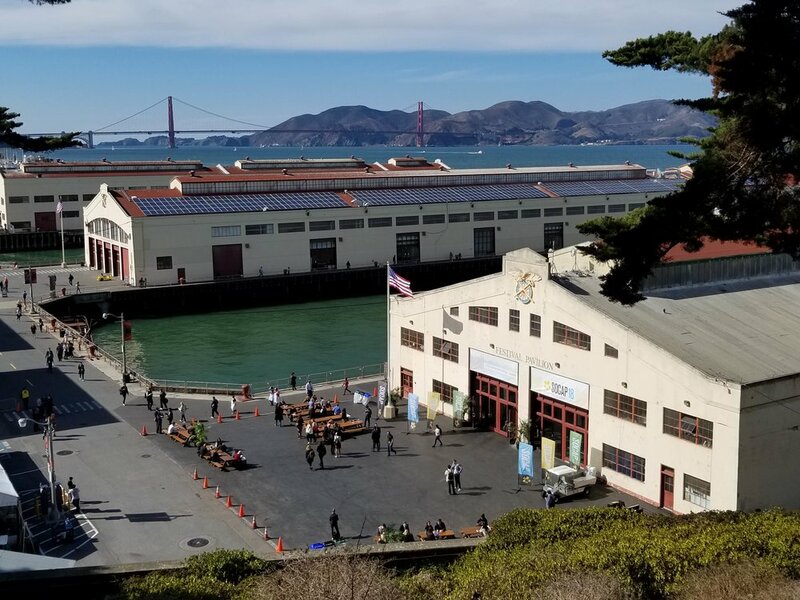 SOCAP18 took place in San Francisco, on the occupied lands of the Ohlone people, and included workshops on the rapid loss of land, rural villages and livelihood in Alaskan indigenous communities due to rising sea levels; as well as sessions on carbon drawdown strategies. Several people who approached the tree shared their experiences with wishing trees in their own cultures, from Siberia to Mongolia. One SOCAP attendee shared how scarce water was in the small village in northern India that he grew up in as a child. He now lives in a large city in India and has three daughters. He still fears for water scarcity in his daughters’ future, and understands the privilege of constant access to water in urban areas. Where will you plant yours? You can go to our Participation webpage for ideas and instructions. 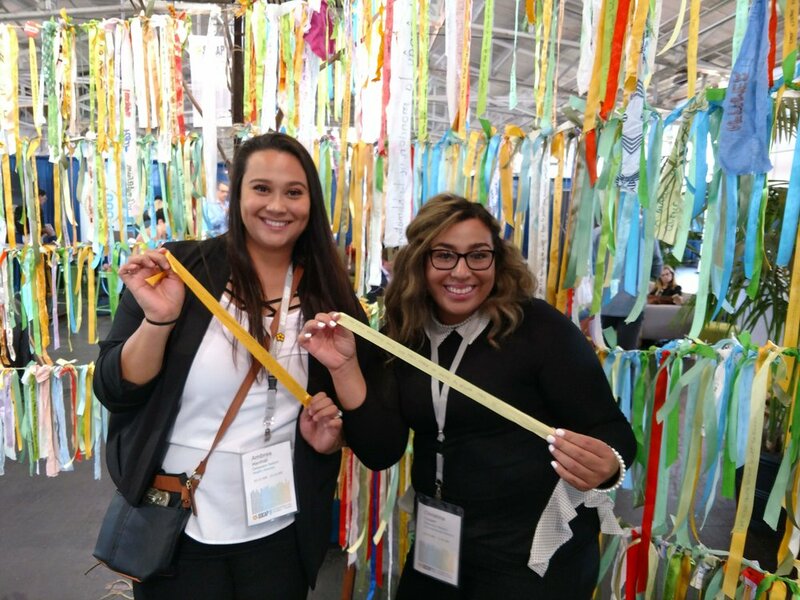 We wish to thank the staff and volunteer team of SOCAP who made it possible for the Climate Ribbon to be at SOCAP18, and the event staff who helped us in the planning, set up, and break down stages. We also wish to specially thank SOCAP365 coordinator Liz Maxwell (who was on the original Climate Ribbon team at the Peoples Climate March in NYC in 2014!). 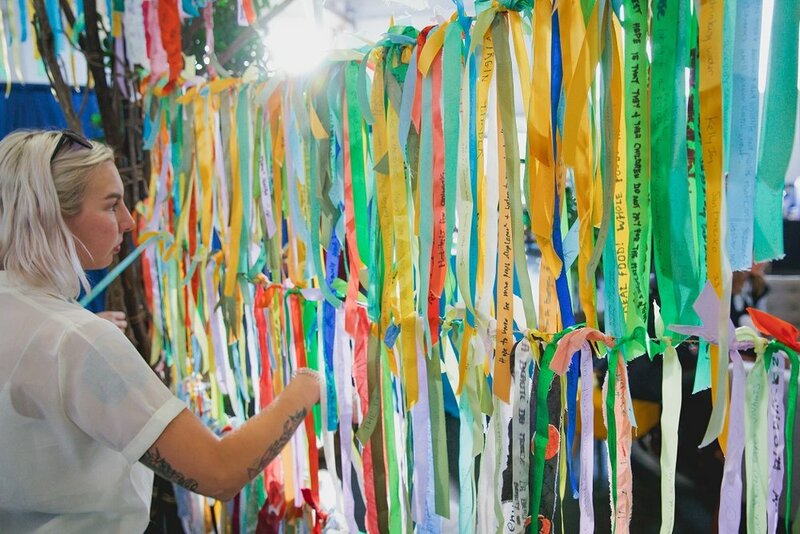 This Climate Ribbon installation was a collaborative creation by core team artists Kate McNeely and Rae Abileah.